Have you Looked at your Toilet? That sounds like a good time, doesn’t it? I mean, have you checked the water level in the bowl recently? 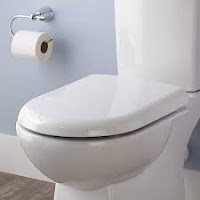 Sewage could be backing up into your toilet, and if it happens you won’t get a warning notice, believe me! Sewer lines are designed to carry waste away from your property NOT in its general direction. When they are functioning at peak efficiency they will not let the waste that builds up contaminate the fresh, clean, water. A sewer line can easily crack (even a slight fissure) or worse, even break entirely. Of course, if it breaks the emergency is major and immediate. Either way, you need to react as quickly as possible. If you live in Morton, East Peoria, Pekin, or other Central Illinois towns you know exactly whom to count on for sewer pipe repair and replacement. It’s Dave Bailey and his professional team of plumbers at Dave Bailey Plumbing. Don’t let a cracked or broken sewer pipe make you want to evacuate your castle! Call Dave Bailey Plumbing at (309) 265-6788. Your Thanksgiving Day Race! Chocolate Turkey 3 mile run or 1 mile walk! "Kick off your Thanksgiving with a 3 Mile Run or 1 Mile Walk and some tasty CHOCOLATE!" No, it’s not something you get when you drink bad water or eat contaminated food. Backsiphonage is the reversal of normal flow in a system which is caused by a negative pressure (vacuum or partial vacuum) in your home’s piping. What causes it? It can be created when there is a stoppage of the water supply. 1. What is pressure backflow? 2. When does my home have a cross-connection? 3. What is an atmospheric vacuum breaker? 4. Where is an atmospheric vacuum breaker used? 5. Where is a house bibb vacuum breaker used? 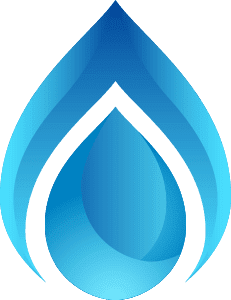 These and many other questions about backflow in your home are answered by Dave Bailey and his professional team of plumbers at Dave Bailey Plumbing. Those of us who live in Morton, East Peoria, Pekin and the surrounding areas of Central Illinois have trusted Dave and his crew for many years. 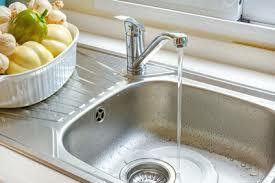 For backflow and other plumbing problems call (309) 265-6788. 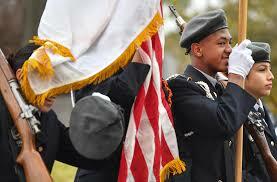 "Plan for the traditional Veterans Day Parade in Downtown Peoria on Sunday, Nov. 11."